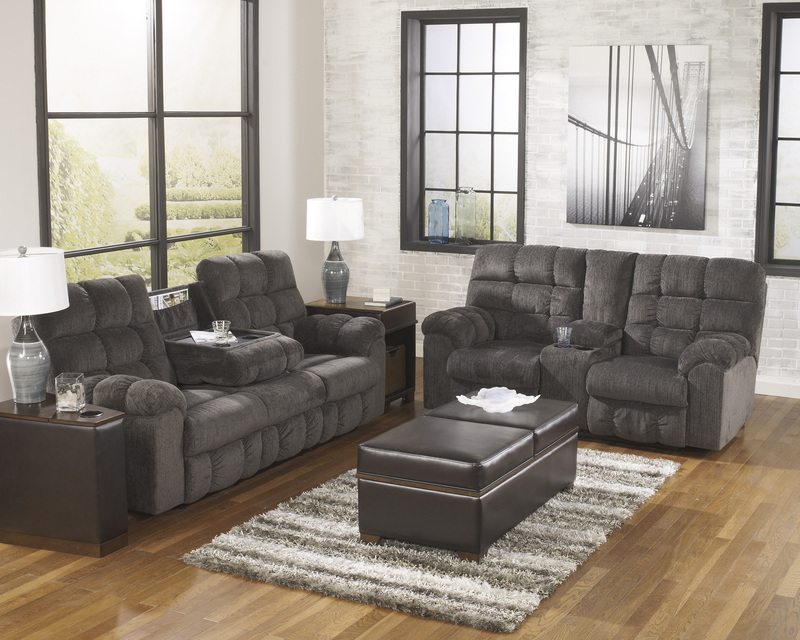 If its quilted bustle back weren't enough, the Acieona Reclining Sofa and Loveseat has overstuffed arms that elevate comfort to new heights. Drop down the middle seat's back to reveal a handy tabletop and cup holders, as well as an ingenious storage pocket. 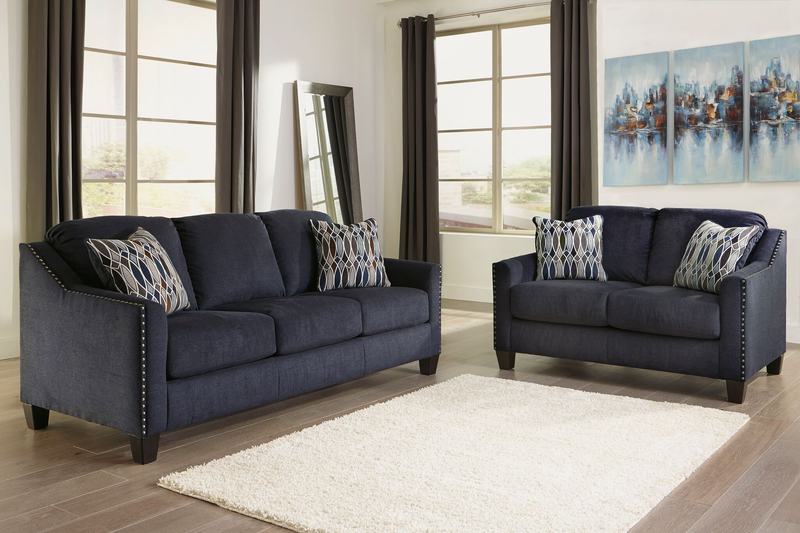 Ultra-soft chenille upholstery makes this piece beyond luxurious.